You can view 120 min. of 11776 videos for only 500 pts. 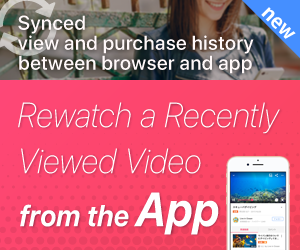 Efficiently view by selecting your favorite scenes! View your favorite scenes for 120 min. for only 500pt.